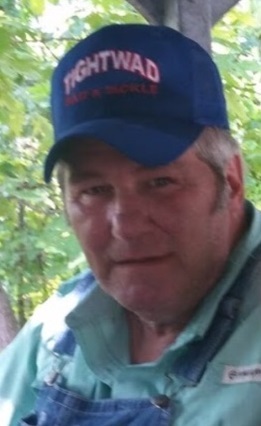 Randy Ray Snorgrass, 62, of Grandview, passed away peacefully on July 16, 2018, at his home with family at his side. Visitation will begin at 5:30 pm, followed by a service celebrating Randy’s life at 6:30 pm, on Friday, July 20, at the Park Lawn Chapel, 8251 Hillcrest Road, Kansas City, MO. Graveside services will be held at 2:00 pm Sunday, July 22, at Versailles Cemetery, Versailles, MO. In lieu of flowers, memorials are suggested to the Ararat Shrine Hospital Transportation Fund. Randy was born December 12, 1955, in Kansas City, MO, the fifth of nine children. He was preceded in death by his father, Jack Snorgrass; mother, Irene Snorgrass; step-father, Merle Zollicker; and brother, Jack Snorgrass. Randy worked 19 years for Hallmark in Kansas City until his health no longer permitted. He was a member of the Windsor Masonic Lodge in Windsor, MO, and Ararat Shrine Temple. At Ararat, Randy was a longtime member of the Patrol unit and served as a driver for kids and their parents to the Shrine hospital in St. Louis. Survivors include his wife of 42+ years, Anita (Crowder) Snorgrass; daughters, Brandi Vaughn, Katina Snorgrass and Jenna Ramirez (Justin); granddaughters, Riley and Taylor Vaughn; siblings, Bill, Jerry, Ronnie, John, Ed and Larry Snorgrass, and Lois Wall; as well as many nieces, nephews, other family members and friends. Rest In Peace my dear brother. Pam, Sean and I will miss you. My heart is sad, for each one of you. May GOD'S strength carry you through this time and give you his PEACE. Anita and family, so sorry for your loss. Prayers and hugs. We are so sorry to hear of Randy’s death. Our hearts ache for the entire family. Jenna, sending love and heartfelt sympathy to you and your family at this difficult time.